The Harris family has a long, proud business history serving the Rock county area dating back to 1859 when James Harris and his partners incorporated the Rock River Iron Works as the Harris Manufacturing Company. Located along South Franklin Street in Janesville, this farm implement and machinery shop complex included: warehouse and office, wood shop, three-story machine shop, foundry and blacksmith shop. The company thrived between 1869 and 1880, employing approximately 125 workers who produced an array of farm implements that included the Sweepstakes Separator, the Little Champion Reaper, and the Champion Threshing Machine among other farm implements. A major fire to the complex in 1875 did not thwart the growth of the company that successfully sold its implements throughout the Midwest. Harris reorganized the company in 1881 as the Janesville Machine Company and shortly thereafter left the company to pursue new challenges. 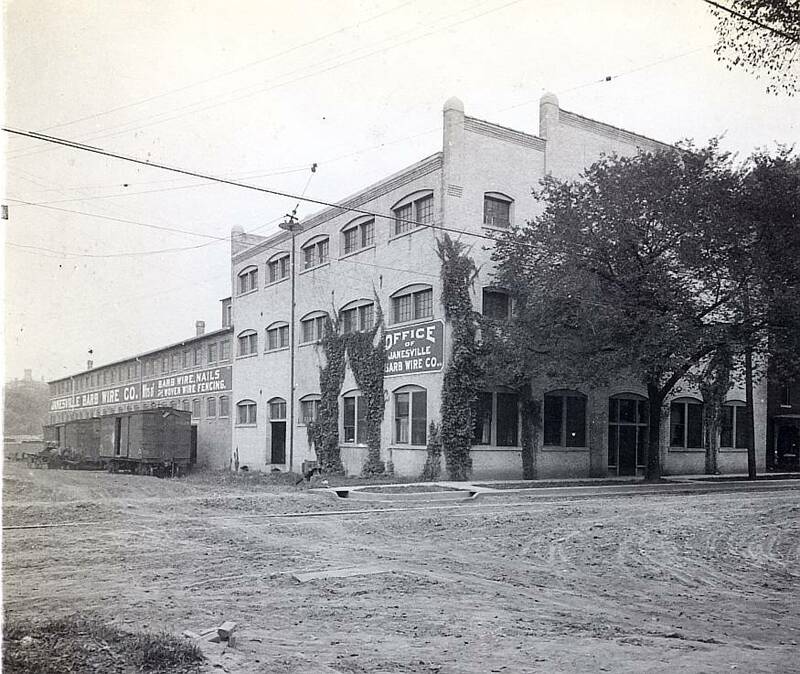 In 1882 Harris purchased an Illinois barb wire manufacturing company and moved it to Janesville in a newly erected factory along South River and Franklin streets. Harris soon turned the Janesville Barb Wire Company into a multi-facility manufacturing operation, eventually producing his own his patented barb wire and fencing. In 1921, the company began producing a line of steel fence posts and was renamed the Janesville Fence and Post company. Refusing to sell in Europe during the prewar years, James Harris, the founder's grandson, transformed the operation into a hardware and appliance retail business in 1936 under the Harris name. In 1937, the Harris family opened an additional two hardware stores in Beloit; one on East Grand Avenue and one on West Grand Avenue. Then in 1939 the Harris family joined the Ace Hardware chain to take advantage of that company's buying power and leverage of national brands. The two Beloit stores were consolidated into a single building 10 years later on Pleasant St. In 1984 a third store was opened in Janesville on East Milwaukee Street and a second Beloit store was added in 1973 on Elmwood St. The fifth, and most recent, Harris Ace Hardware Store, was added in 2001 when a former Ace store was purchased in Monroe, WI. 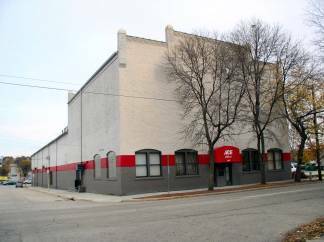 Today the Harris family operates its five Ace Hardware stores out of its corporate headquarters that is actually located in a historic 130-year-old building on South River Street in downtown Janesville that once was the barb wire manufacturing facility.